Lovecraft would have loved this. 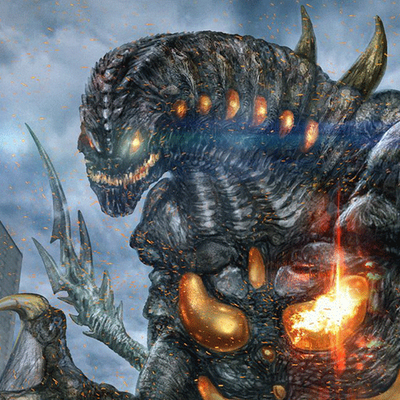 Nemesis is Godzilla, Cthulhu, and “Attack of the 50-Foot Woman” all rolled into one – Destroyer God and sad victim not only of fate but of a rich, obsessive, vicious man. “Nemesis” is a monster, true. A monster created by science, at the behest of a human even more monstrous than Nemesis herself. I got a huge kick out of this story. Narrated by Jeffrey Kafer, the story is a high octane tribute to all the 50’s monster movies we know and love. But it is also a denunciation of military incompetence, political ineptitude (yes, those are basically the same words – but military command and the political machine are basically the same thing, so . . .) and the horrific things humans will do given enough money and political and military power. Jeremy Robinson has written a story for everyone from preteens to adults, delving into the human psyche, exploring our fears and bringing the past into the present. Nemesis is, when it comes down to it, an avenging angel, a Goddess of Vengeance, and I liked her – a lot. Jon Hudson, the hero of the piece, is the lead investigator for a special DHS department – Paranormal Investigations. Following up reports of Sasquatch is embarrassing – but trying to keep the rest of DHS under control, especially the smart-arse Boston lead investigator, is enough to make Jon bang his head against a wall. There is a lot of blood and gore, a lot of military action and military and political stupidity – and his ‘sidekick’ Sheriff Ashley Collins, is one kick-arse broad, so I was happy with that! There is fun and snarky humour as well, which is always a huge positive for me. Grab it – it’s fun! Jeremy Robinson (aka Jeremy Bishop and Jeremiah Knight) was born in the sometimes mysterious seacoast town of Beverly, Massachusetts. From a young age his father fostered a love for Science Fiction. He grew up on thick doses of Superman, Batman, X-men, Dr. Who, Battlestar Galactica, Star Wars, Star Trek and Godzilla—creative fuel for the future. He began his creative career as an illustrator for comic books and comic strips and worked on several small indie projects, but it wasn’t long before an epiphany struck—his art wasn’t just about creating images—it was about telling stories. Robinson switched gears to writing, first screenplays and then novels. Robinson is the international bestselling author of more than fifty novels and novellas including XOM-B, ISLAND 731, SECONDWORLD, and the Jack Sigler thriller series. Robinson is also known as the #1 Amazon.com horror writer, Jeremy Bishop, author of THE SENTINEL, THE RAVEN and the controversial novel, TORMENT. His novels have been translated into twelve languages. 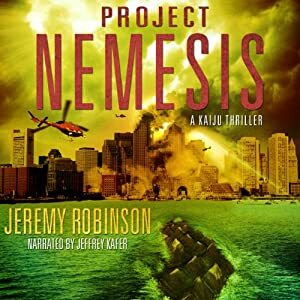 In 2015, his novel PROJECT NEMESIS will be released as a comic book series from American Gothic Press/Famous Monsters of Filmland, and his Jack Sigler thrillers entered development to be released as a major motion picture. He lives in New Hampshire with his wife, and three children. Robinson recently adopted the pen name, Jeremiah Knight for his two new post-apocalyptic story lines, THE HUNGER SERIES and THE BERSERKER SAGA. Maybe you’ll be part of the next step? If you think so, contact Robinson via e-mail.